Social Security can help you retire to a beach area. 3. Are Disability Benefits Taxable on Children Under 18? Social Security is the basic retirement program for most Americans. Every person who works for an employer or earns self-employment income pays Social Security taxes. These earn credits in a Social Security account and any person with 40 credits, about 10 years of work, is entitled to retirement benefits. The amounts vary, depending on lifetime earnings and retirement age. 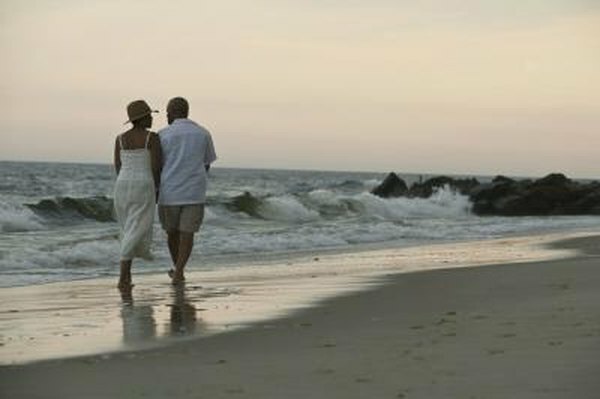 Social Security benefits normally start at age 65 or 66, but can begin as early as 62, although amounts for early retirement are reduced by about 25 percent. More than 56 million recipients got a 1.7 percent increase starting in January 2013 and the average recipient now receives $1,237 a month, about $14,800 annually. Moving from Oklahoma to Hawaii may change a recipient's cost of living, but won't affect basic Social Security benefits. About 8 million people also receive Supplemental Security Income or SSI. This may change with a move because some states supplement the basic SSI payment with additional payments. Those vary by state and by income, living arrangements and other factors. Oklahoma administers its own SSI program, but in Hawaii, SSI is administered by the Social Security Administration. SSI is for elderly or disabled persons with limited incomes. In Oklahoma, eligibility is determined by the state, based on an application submitted to Social Security. The process looks at the amount of earned income, ability to work to make additional money and physical impairments or impediments to work. In Hawaii, the Social Security Administration processes an application and determines eligibility. Oklahoma's Department of Human Services follows basic federal guidelines in determining eligibility but disregards the value of Indian allotments and other Indian resources. In Oklahoma, a couple living independently can expect more than $80 a month in SSI payments or a total of more than $1,200 with federal amounts. Oklahoma does not provide any extra assistance for special needs. Couples living independently in Hawaii can expect combined federal and state SSI payments between $2,500 and $3,000 a month, about a fourth of the total from the state supplement. Hawaii also has different rates for those in assisted living facilities and in many cases offers special needs supplements for such things as help due to natural disasters, onetime housing or utility deposits or repair or replacement of stoves or refrigerators.